Wednesdays gubernatorial election in Bali has turned into a nail-biter, with quick counts putting the two candidates in a virtual dead heat and an official announcement not expected for at least another week. A quick count by Saiful Mujani Research & Consulting gave Anak Agung Ngurah Puspayoga, the deputy governor, the narrowest of leads over the incumbent, Made Mangku Pastika. It gave the challenger 50.31 percent to the governor's 49.69 percent. But SMRC pollsters noted that the real result could have swung either way, given that the margin of error, 1 percent, was larger than the difference between the candidates votes. â€œWhen the difference is less than 2 percent, you can't predict who has won and who has lost," SMRC spokesman Deni Irvani said as quoted by MetroTV.com. A separate quick count by the Indonesia Research Center was even tighter, giving Pastika the lead with 50.01 percent to Puspayogas 49.99 percent. But Puspayogas camp was confident that their candidate had the edge. Hasto Kristianto, a deputy secretary general of the Indonesian Democratic Party of Struggle (PDI-P), which nominated Puspayoga, said that the partys own quick count chimed with the results of the SMRCspolling. We welcome this news with great joy, even if the result is not yet official," he said. However, Pastika said that nothing should be assumed until after the Bali office of the General Elections Commission (KPU) had counted all the votes and made an official announcement. 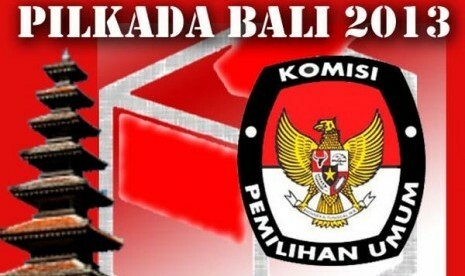 We'll choose to wait for the official results to be published by the KPU," he said. â€œOur job now is to monitor the process as the ballots are taken from polling stations to village and ward offices for the manual count." Ketut Sukawati Lanang Putra Perbawa, the chairman of the Bali KPU, said that with such a close result, officials and the public would have to watch the manual counting process very carefully to prevent cheating or other problems. He added that a KPU meeting to tally up the votes from each village and ward would take place sometime between May 25 and 27, which is when the official results will finally be announced. Analysts had expected the race to be close, noting that although Bali was a PDI-P stronghold, Pastika was the incumbent, and incumbents tended to fare well. Pastika won the 2008 gubernatorial election on the PDI-P ticket, with Puspayoga as his running mate, but this time around was nominated by the Democratic Party and the Golkar Party, among others.